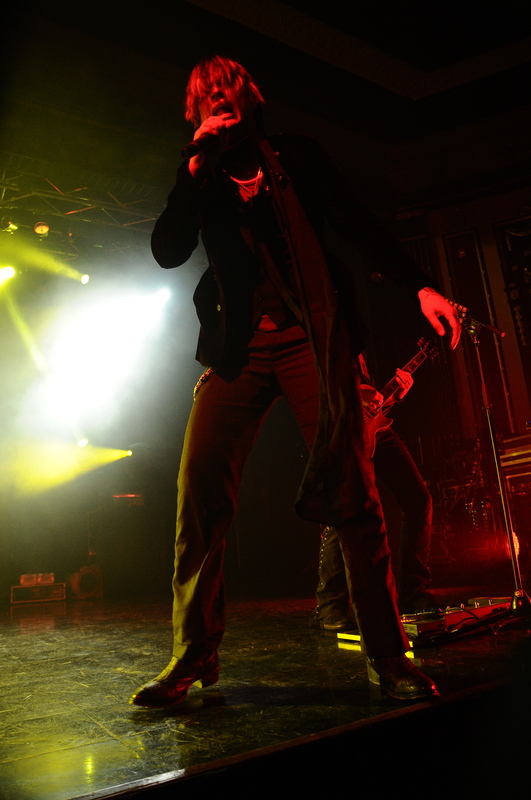 Hinder returned to the Rapids Theatre Saturday evening and did the same thing they did on their past visit in 2011, they rocked the house. The show just their second date into a five week run, showed the band, in solid form getting accustomed to a new set list, working out a few minor kinks. The band have recently released their fourth studio disc entitled Welcome To The Freakshow which was co-produced by drummer Cody Hanson. The seventeen song set featured six tracks from Freakshow with the remaining cuts split up between the remaining three albums. “Ladies Come First”, for one, sounded much stronger in the live setting. The bands forthcoming single “Should Have Known Better” also was featured and seemed to go over well with the enthusiastic crowd. As singer Austin Winkler commandeered the stage most eyes were fixed on him as he methodically worked the crowd through such fan favorites as “What Ya Gonna Do”, “Better Than Me” and the classic “Lips Of An Angel”. 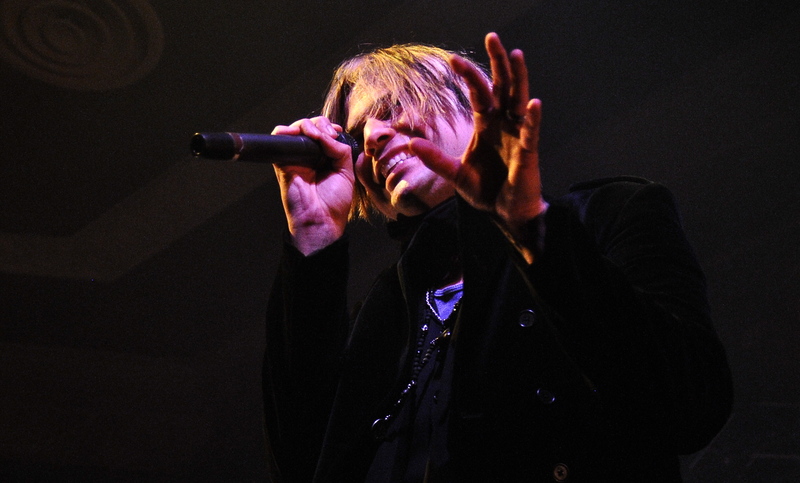 Drummer Hanson also grabbed an acoustic guitar as he and Winkler were left alone on stage to play new song “Get Me Away From You” and rare cut “Thing For You”. It was good to see bassist Mike Rodden up and about as the last time Hinder was in town he had to play the show from a stool due to an injury. Rounding out the band are guitarists Joe “Blower” Garvey and Mark King who traded licks and really stood out on “All American Nightmare”, the riff heavy title cut from their 2010 release. 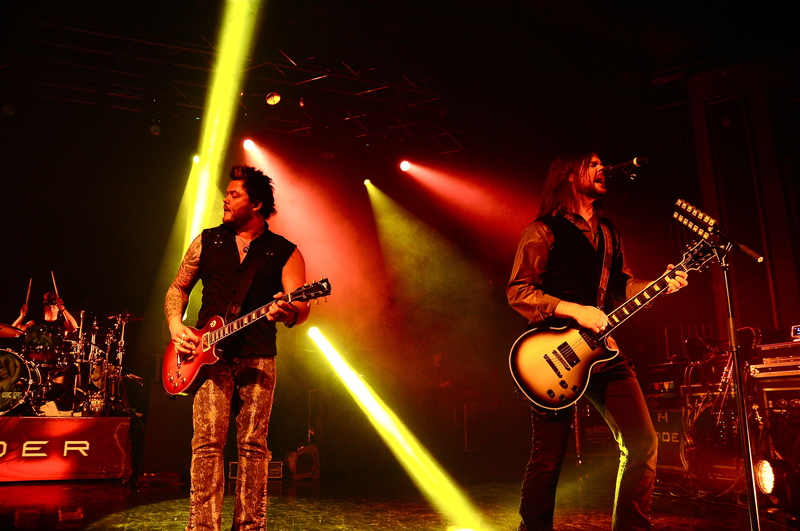 Hinder realize what it takes to survive in the music business these days. They continue to write good catchy tunes that they put their signature on whether it be writing slow moving ballads or bombastic in-your-face rockers. They focus on recording quality music and then take the rest of their energy and put on the best live show as only they know how. Its a successful formula the band has followed since day one. 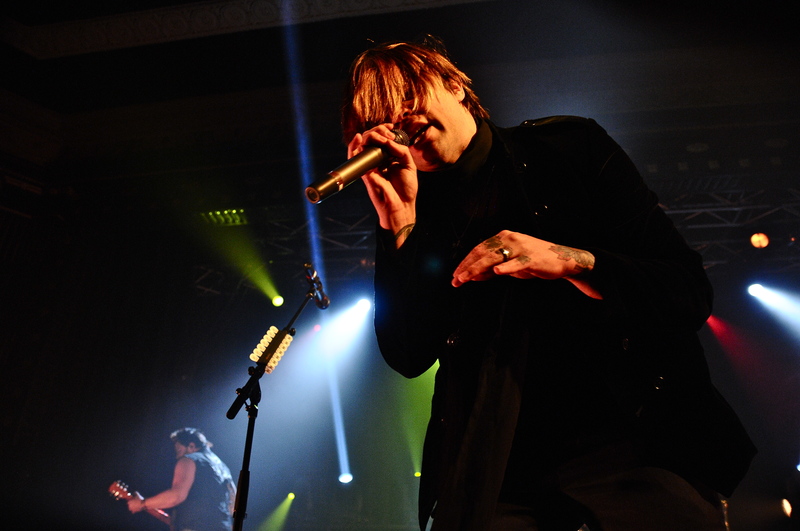 All the evidence was in their performance Saturday evening as most in the Rapids Theatre crowd could attest to. Special thanks to Kymm Britton for her allowing us to review this show! Also be on the lookout for an interview we conducted with Hinder drummer Cody Hanson before the show.